In case it wasn't clear yet, I'm on a Greek cooking kick this week! Check out these 3 fabulously gluten free Greek dessert ideas! These cookies are a cross between shortbread and flaky almond cookies, making for a delicious dessert or tea break sweet! 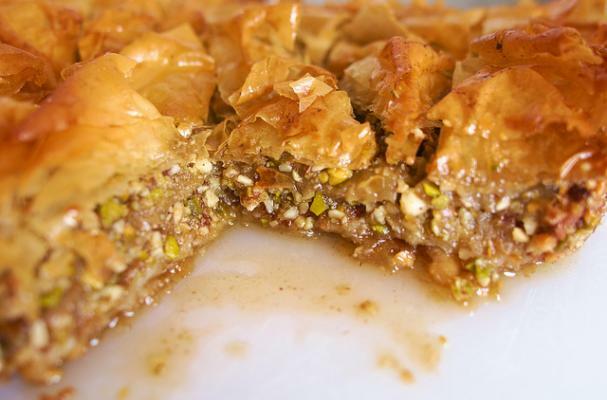 Be sure to use Gluten Free Phyllo dough for this fun twist on traditional Baklava! Greek yogurt and fresh fruit make for a deliciously Mediterranean twist on this French classic!